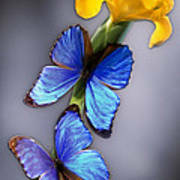 There are no comments for Morpho On Yellow Iris. Click here to post the first comment. 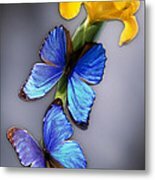 iridescent cobalt blue morpho butterflies on canary yellow dutch iris stem. 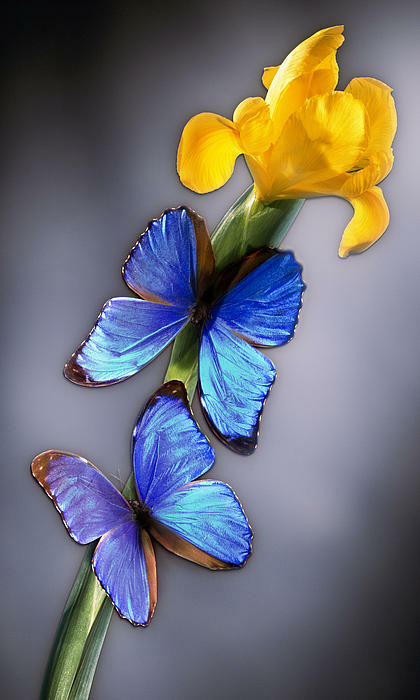 this floral & butterfly image was created with special finesse lighting and exposure in the studio. 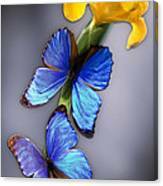 this art piece is part of a very limited edition of 30 signed and numbered pieces printed on the metallic, luminous and archival cibachrome or fujiflex and flush or float mounted on brushed aluminum metal plate.